Adore those doll wall stickers!! Oh thanks so much Katie for featuring my products in this post! What a cute tea towel! Ahh! I'm a geography geek. 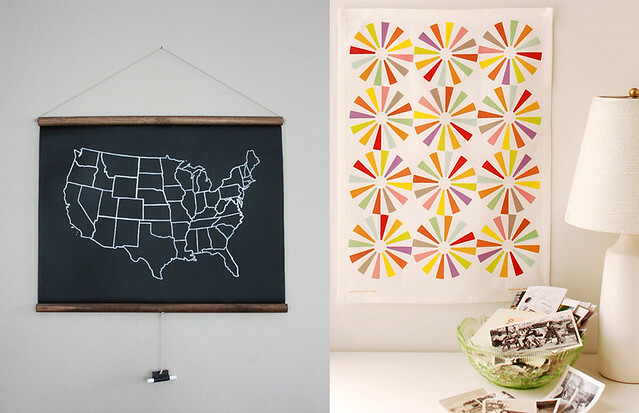 I NEED that chalkboard map. Just LOVE the Chalkboard map! I love maps (we have quite a few in the house)! And that pinwheel tea towel is so much fun. I love that silhouette. So cute! 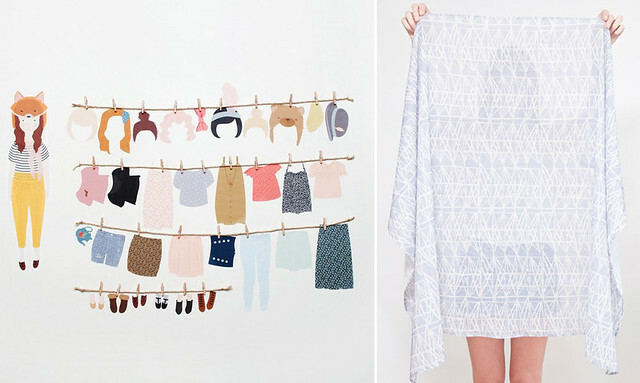 The wall-paperdolls are great for a child's room!